Prize: We're giving away TWO brand new LEGO sets to one winner. 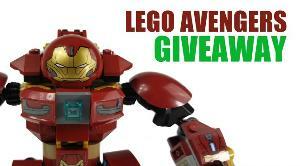 For this giveaway, we are giving away the LEGO Avengers Thanos: Ultimate Battle (#76107) and The Hulkbuster Smash-Up (#76104). What you must do to enter: Complete a 7 ways to enter for the chance to win.